Choceur Caramel is filled with rich and gooey caramel encased in creamy, premium European milk chocolate. This delicious chocolate is made without artificial colours, flavours and has no preservatives. Product of the Year is the world’s largest independent consumer-voted award for product innovation. 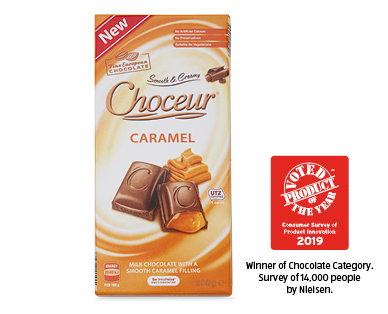 In Australia, Product of the Year is backed by votes of 14,000+ consumers, serving as a shortcut for shoppers and saving them time and money. For more information on Product of the Year, see here.